Developed for healthy-looking skin, adding moisture while helping to protect the skin from airborne impurities. 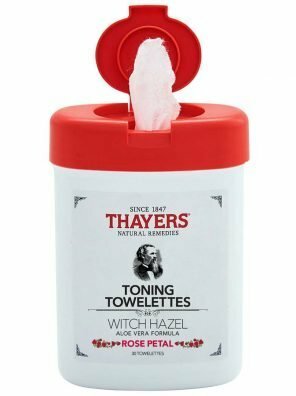 Thayers Toning Towelettes are soothing, soft, and safe for sensitive skin. Now available in a convenient 30-pack of biodegradable towelettes, your skin will be toned and revitalized with a simple swipe of this home-grown healing power.